Archer on Airguns: New Range of Parts and Accesory Kits for Crosman 760 Airguns. New Range of Parts and Accesory Kits for Crosman 760 Airguns. New at Archer Airguns is a range of parts and accessory kits for America's most popular air rifle - the Crosman 760. The best and simplest way for anyone to improve their shooting with a Crosman 760 is to install a scope and use this instead of the open sights supplied fitted to the gun. You'll be amazed at the improvement shooting through a scope can make! 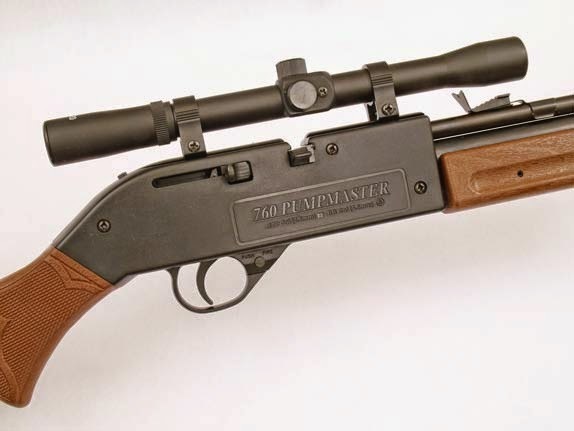 So, Archer Airguns has two, great value scope packages for the 760. 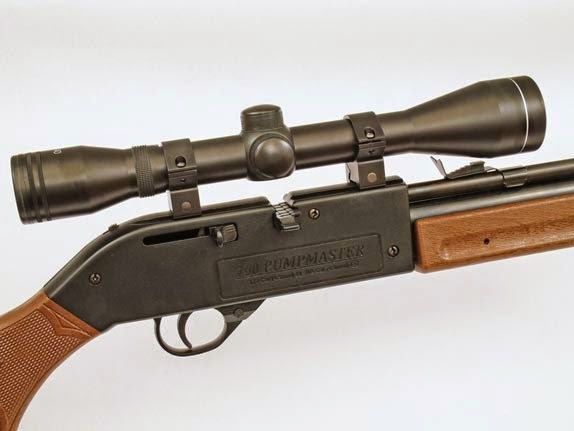 The lowest cost package includes a 4 x 20 scope and rings for the Crosman 760. This mounts directly to the 760 - as shown in the photograph below. The scope is adjustable for elevation, windage and eye focus. It's also supplied with push on lens caps. Stepping up is a 4 x 40 Scope and Rings for Crosman 760. The larger, better quality scope gives a much better image and has 4 x greater light gathering capability than the 4 x 20 scope for a brighter, sharper image. This scope also has a duplex reticle, click-adjustable elevation and windage turrets and eyepiece focusing. A special set of low profile rings are included and these mount directly onto the 760's scope rails. This is about as much scope as most people will need on a Crosman 760! A red dot sight is also a great option for improving shooting with a 760. But most of those currently available have Weaver/Picatinny type mounts that are not compatible with the scope rails on the Crosman 760. 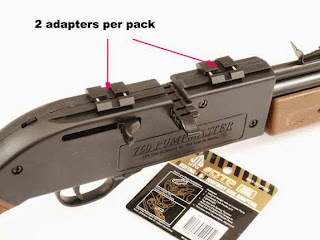 Archer Airguns Weaver Picatinny Mount Adapter for Crosman 760 overcomes that problem. This adapter comprises two parts that fit into the Weaver/Picatinny mounts of the red dot sight (or scope rings). The whole assembly is then lowered onto the 760's scope rails and the Weaver mount tightened. Perfect! 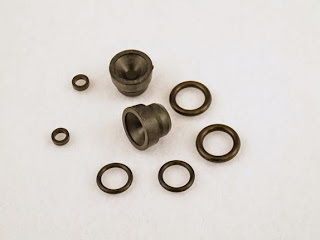 For those with an old, tired 760, Archer Airguns also introduces a Reseal Kit for Crosman 760. This "2X" Seal Kit includes two sets of the seals most likely to cause an old Crosman 760 to become "tired" and shoot slow. These seals will fit any of the many millions of 760s manufactured by Crosman since 1977! No instructions are included, but it's easy to find instructional videos on the 760 on YouTube and these will help with this project. Having two sets of seals gives confidence when undertaking the repair, or provides a spare set of seals for another reseal project in future.